The big picture: When you think of music discovery, names like Spotify and YouTube probably come to mind but according to Rockstar, there's another influencer that's shaping what people listen to: Grand Theft Auto V.
With nearly 100 million copies sold and more than $6 billion in revenue generated, Grand Theft Auto V is one of the most successful video games and entertainment products of all time. What you may not know is that the game has also become a power tool for music discovery. According to Rockstar, GTA V and GTA Online players have collectively listened to an estimated 75 billion minutes of music over the 18 in-game radio stations. 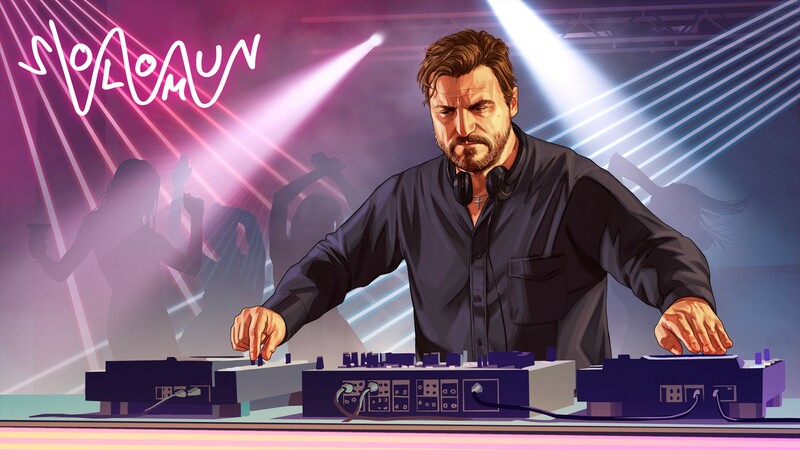 Earlier this summer, Rockstar launched a new DLC called After Hours for GTA Online that tasks players with running their own nightclub. It was headlined by content and appearances from some of the industry’s top DJs including Dixon, Solomun, Tale of Us and The Black Madonna. The developer and publisher didn’t simply license a few tracks from each DJ for inclusion in the game. Rather, they invited them out for a top secret motion capture session. Rockstar spared no expense, transforming the motion capture studio into a true nightclub and bringing in the DJs’ own gear, their preferred drinks, their entourage, managers, friends, family and fans. The idea was to create an authentic session, grab it with motion capture technology and put it in the game as an experience.